This week we’ll be celebrating the start of the Year of the Sheep (or the Goat). 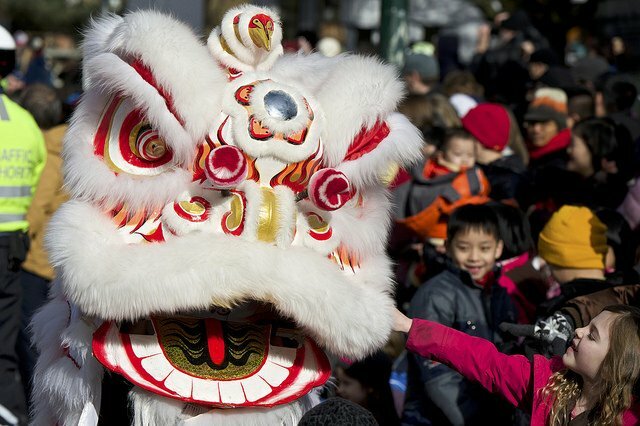 Chinese New Year is, not surprisingly, the beginning of the Chinese year. Because it’s based on the lunar calendar, every year Chinese New Year falls on a different date in our usual calendar (which is solar), somewhere between January 21 and February 21. Chinese New Year is usually the second new moon after the winter solstice. There are exceptions to this rule of thumb though. This year, Chinese New Year will fall on the third new moon. Growing up, Chinese New Year was always a big deal in our family. Some of my favourite memories are of heading down to Chinatown to watch the parade and eagerly anticipating the arrival of the Lion Dance. 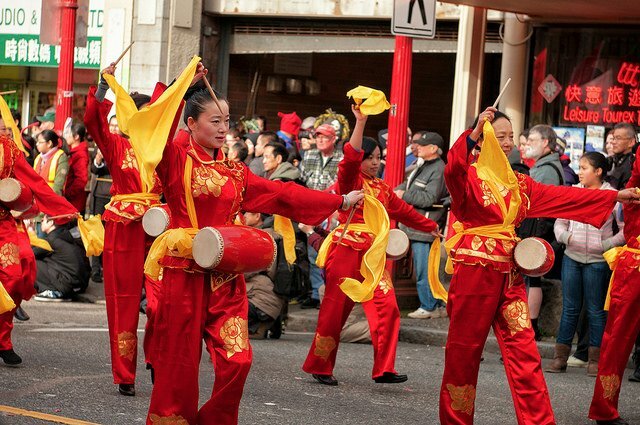 You certainly don’t need to be Chinese to join in the fun and festivities! Most major cities with a Chinese presence will hold some sort of public celebration. 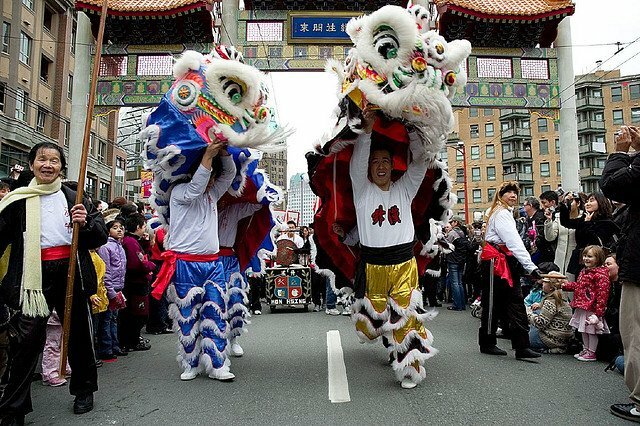 If you’re in Vancouver (which incidentally is home to Canada’s largest Chinatown), this year’s parade and festival will be held on Saturday, February 22 starting at 11:00 am. Get the parade route and details here. During the years I lived in Hong Kong, Chinese New Year was a huge family event spanning two weeks. I helped my Po Po (Cantonese for grandmother) decorate the with red good luck banners and ate dumplings. We attended lavish banquets and visited friends and family members with gifts of fruit and candy. The White Rabbit candies were my absolute favourite – milky candies wrapped up in rice paper. 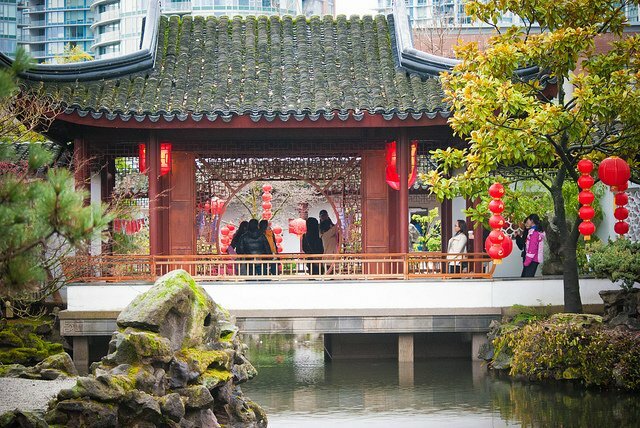 Thankfully there’s such a large Chinese population in the Lower Mainland that they’re easy to find locally too. Everywhere my brother and I went we were gifted with red packet lucky money. 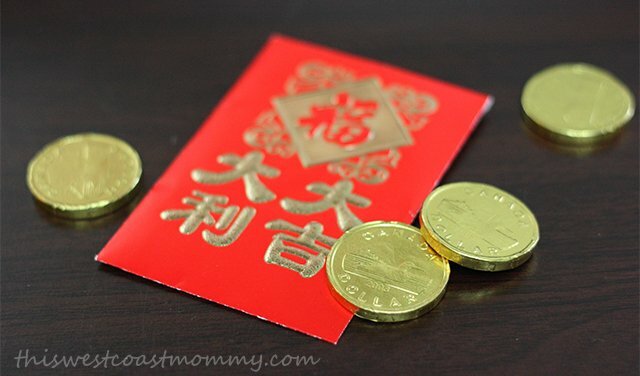 My girls will receive their own lucky money this week, and I’ve picked up a few red packets and some chocolate coins for Tee to pass out to her preschool class. My girls may only be one quarter Chinese, but I want them to have some appreciation for the traditions of their heritage. 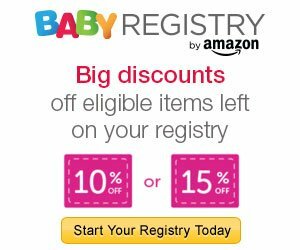 I have very fond memories of Chinese New Year, and I’d like my children to have some too. This looks like a lot of fun. I don’t know much about Chinese culture, but the holidays always seems so colorful and festive. I’d love to see this in person someday. One of the coldest days of the year here in Toronto, I wish I was some place warmer to celebrate the new year.